Neat provides a powerful, yet easy to use cloud-based small business software platform that enables small business owners and sole proprietors to better manage their expenses and other important financial documents. 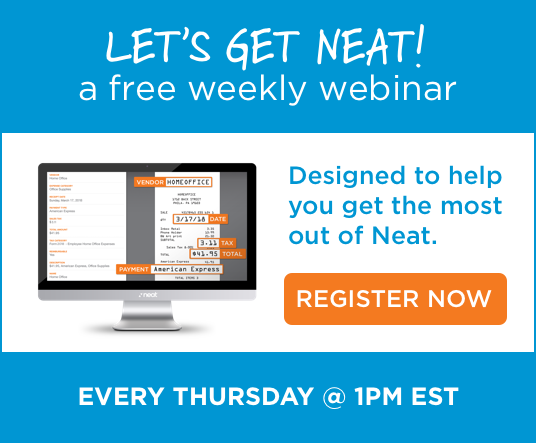 With Neat, you’ll spend less time on bookkeeping tasks and more time growing your business. Save time by reducing manual data entry into accounting systems. No more dropping off shoeboxes full of receipts!